Panzura FreedomTM is an intelligent hybrid cloud storage solution underpinned by Panzura CloudFS. Panzura CloudFS is a scale-out, distributed file system purpose-built for the cloud. Programmatically accessible through REST APIs, it utilizes high performance flash in the data center, and integrates the cloud for economics, scalability, and durability. Unlike NAS, it scales globally across multiple sites and multiple clouds. Hardware Settings: The default configuration enables auto-tuning for all Panzura settings, which work well with the Veeam application. The caching policy should be set to pinned (as opposed to autotune) to ensure the administrator controls which backup sets are available locally. 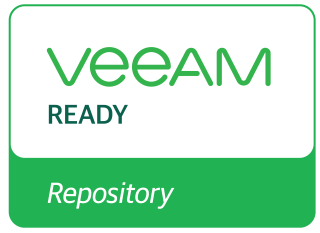 All Veeam backup data must be pinned locally to ensure fast restores and effective data operations within Veeam, without cloud reads.